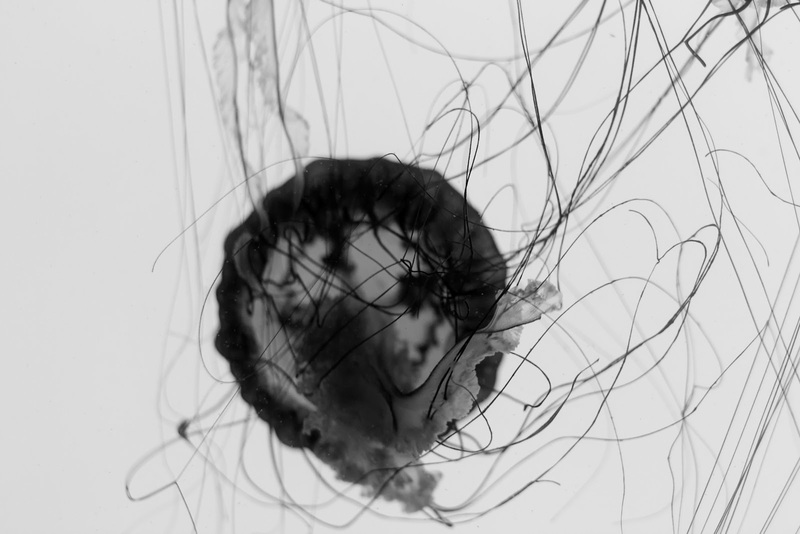 Turns out jellyfish are awesomely abstract, especially when converted to black and white. I think this would look awesome in any combination of monochrome... and would look cool as a great big poster. This little fella is just so darned cute and happy! I challenge anyone to resist taking his photo. 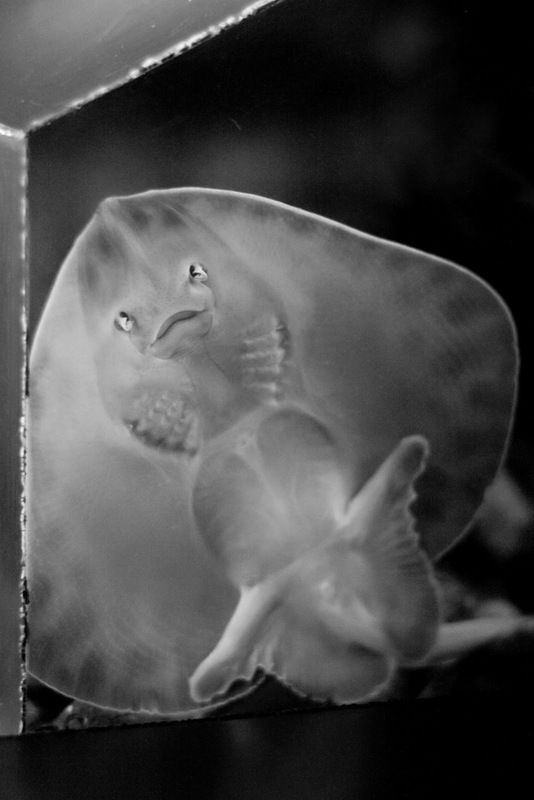 It's a shame the corner of the perspex tank gets in the way, but... seriously, look at his little face! I really really love this photo, for some reason. It was just a quick shot through the rain, towards the boats. I think the chair balances out the couple, and I love that she is holding the umbrella over him. Cute! Thank you! If I ever get into photography seriously, I definitely need to practice my 'people photos'. So I really appreciate your comment! I love aquariums! I spent my preschool years in Vancouver, and my fondest memories are of the endless visits we took to the aquarium there. Everywhere we travel, if there's an aquarium, we go! I love your B&W shots. Amazing!